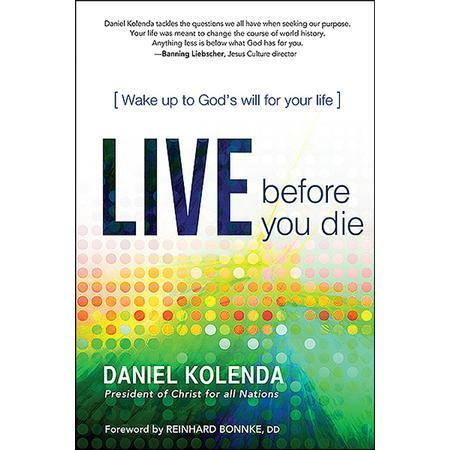 Live Before You Die is written to encourage readers to follow and pursue God’s vision and will for their life. Daniel Kolenda stated that God created every single person as a one of a kind masterpiece and he has a dream for you to complete that only you can do. He pointed out that in Psalms 139:13 that God knitted each one of us in our mother’s womb and we’re are all unique. Daniel Kolenda revealed that God’s will for us won’t go against His written word. A gigantic problem some of struggle with is we are constantly fighting against what God wants us to do for His kingdom. Obeying God is the best solution to achieving what He has in mind for us. God gives each person special gifts and talents to accomplish His will for their life. It’s also important to remember that we don’t need to judge others who have different gifts from ours. The next section of the book contains, “Five Secrets to Discovering God’s Will”. The first imperative one is seeking and doing what the Kingdom needs you to do for God’s glory. Daniel Kolenda described the meaning behind Matthew 6:33. This verse means if you are doing what God has instructed you to do for His kingdom he will add these things to you. If you seek His kingdom first he will lead you to the job you’re supposed to have, the person you’re meant to marry, guide you where to live, and the right college to attend. Living in God’s will is the easiest way to finding your purpose and meaning in life. The next part of the book is entitled, “Five Enemies of God’s Will for Your Life”. One of the five enemies is avoiding making excuses that prevent us from doing what God has called you to do. Daniel Kolenda shared that some people like to wait on God and they’re times to do that. But sometimes He’s waiting on us to take action. Another excuse many people are using is that they don’t have enough money to follow God’s will for their life right now. People are often in favor of using that excuse I’m not talented enough, I don’t have any experience, I didn’t go to college, and I’m not as smart as other people. But all these excuses are only holding us back from God’s will for our lives. One of my favorite quotes was, “Begin to move in the direction God is leading. Even God can’t steer a parked car! Get moving for God, and you will find that He will begin to guide your steps and direct your path.” (Page 140-150). I would recommend this delightful book on seeking and pursuing God’s will for your life to anyone is unsure what they are truly living for. The book will provide readers with a sensing that God has a calling for them to complete for each person he has created. No person was a mistake everyone has talents and gifts that God wants to use for His kingdom purposes. He has an everlasting love for each one of us and He only wants the best for us. This book has gigantic potential to guide readers into finding God’s will and it will also warn readers into not buying into the excuses. The tips presented in this book are life changing. The book contained tons of scriptures to mediate on in each chapter on how Biblical characters found their true calling. The book also contained QR codes that link to videos to dig deeper that can be scanned with your smartphone. If you’re looking for a resource on discovering God’s will for your life, then this book can greatly change your life! The book will lead you as you finish your destiny and arrive face to face with your Creator! “I received this book for free from Charisma House/ Passio for this review”. This is the second novel in the series of Road to Kingdom. This book is told from the perceptive of Hope Kauffman who was a secondary character in the first novel. I would recommend this magnificent book to people who love the western style, ole timey feeling adventures. I have read the first book in the series and Nancy Mehl did an even better job on describing and adding more action to the storyline. I immensely loved the plot of Hope being torn between marrying Ebbie or pursuing a relationship with Jonathon. Who hasn’t had to make a choice on who they love more? An even interesting scheme was the violent that was coming from outsiders to the small town. Hope was almost killed when a truck ran her buggy off the road. The truck even returned to kill a dear person who was loved by everyone in the small town. This is where the action really begins, most of the younger people wanted to stand up and to protect their people from harm. The older religious demanded that God doesn’t like violent and we’re supposed to let Him protect us from evil. The conflict between the different generational views will keep readers engaged to the last page. I felt like the story was modern in today’s time with do we allow guns or not. The book is a thriller mixed with religion themes and even though it is a continuation it can still read alone. But the first one is pretty good too! If you’re looking for a suspenseful novel then this one is for you! Depression is often easily diagnosed to many people because there are no lab tests to determine if someone is actually suffering from depression. 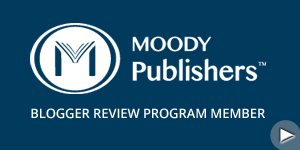 Good Mood Bad Mood is written to cause readers to deem if doctors are just declaring and labeling patients as depressed and not considering that some might be going through a sad event. Charles D. Hodges included the list from Diagnostic and Statistical Manual of Mental Disorders on how doctors diagnose patients with depression. To summarize the list, the major points were if you have a depressed mood every day, lost of pleasure in activities, weight gain or loss, fatigue, feeling worthless, unable to concentrate, thoughts of suicide, unable to sleep or sleeping too much. (The whole list is on page 25). A study by the NIMH found that, “Over 25 percent of the U.S. population will carry the label of depression, anxiety, or bipolar at any given time (Page 20). An important point of the book that Charles D. Hodges used was mixing in scriptures to covey how God views sadness and the hope that is found in God alone. He pointed out that a woman in Luke 8 with a hemorrhage for twelve years couldn’t find a doctor to help her. The lady finally touched Jesus cloak and was healed. He shared this to position to point out that many people are turning to doctors for help with depression and many are still struggling with depression or sadness. There is nothing wrong with seeking help with doctors we should when we need help. But we also have to keep in mind that some doctors are overprescribing medicine to fix depression and some depression might just be temporary sadness. Charles D. Hodges stated that you should always consult your doctor for you personally. Charles D. Hodges explained the big difference between normal sadness and depression. Normal sadness basically means an event happened that caused us to feel sad. For example, an illness, loss of a love loved, lost our job, or a failed marriage. The sadness occurred and depending on how big the incident it will take time to process. A death of a child, parent, or spouse can cause grief to last for a lifetime. You don’t get over someone you loved. Some sadness is only temporary like the lost of a job or a relationship break up. Once you find a new job/person the sadness will soon be forgotten. It is estimated that, “90 percent of those diagnosed with depression are simply sad because of a significant loss, it may also be true that they are nearly 90 percent of patients for whom current medication is no more effective than a placebo” (Page 69). I would recommend this astonishing book to anyone who has been diagnosed with depression or they are feeling a great deal of sadness from a terrible occasion. I am glad that someone is finally questioning the amount of people that are being diagnosed with depression. I loved the fact that Charles D. Hodges has written this book for the 90% that might be sad over an event and is needing time to recover. It’s was also helpful that he instructed readers to trust in God and not worry about things they can’t change. Being anxious doesn’t assist us in being at peace. I loved the aspect that he included a bunch of scriptures to help people who are sad to listen to God’s written word and to remember that God will turn our sadness into joy. This book has the potential to change your thinking about depression and sadness and it will offer readers huge encouragement that could vastly enhance your life! “I received this book for free from Cross Focused Reviews / Shepherd Press for this review”. In Pursuing Justice, Ken Wytsma portrayed that justice is important because we must listen to God and His calling to reach and touch as many lives as we can. Justice is loving people who need our help in our everyday interactions and making a different in other people’s lives. 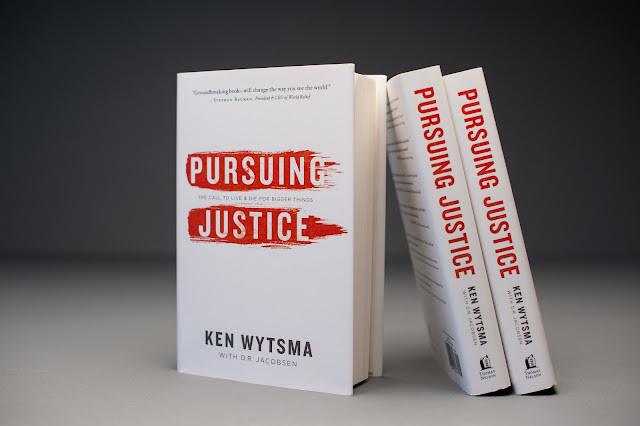 Ken Wytsma said, “The biblical concept of justice has a lot of shared space with synonyms such as love, mercy, charity, the law, righteousness, and more” (Page 4). No one likes to see the injustice being done in the world today. We have a wide range of injustices including human trafficking, poverty, hunger, racism, AIDS victims, orphans, widows, and many others. An extremely significant question that Ken had to ask himself was, “What am I blind to?” He pointed out that Germany didn’t believe that Hitler was much of a threat. And we all know the evil that Hitler massacred many of the Jews. We can’t be blind to the injustices going on in the world. God has called us to make a different and love people like Jesus did. Many people enjoy turning social justice into politics and they love to debate the issues wrong in the world. But they don’t take the steps and actions to relieve and fix the problems. I would recommend this astonishing book to everyone who cares about justice and has a huge passion for helping others. The only way to stop injustice is to inquire about getting involved in reaching out to others. You don’t have to travel to another country to change the world. You can start in your community. Giving your life away to what God wants isn’t easy but it’s worth it. When we lay down our own dreams and desires and follow what God wants us to do our lives, joy and love spread. This book will challenge your beliefs on justice and loving others completely. I recieved a free advance copy of the book from Ken Wytsma for this review. Pursuing Justice | Book Trailer from The Justice Conference on Vimeo.